A slight fog was still covering the hollows as I approached the back waters of Crooked Creek. The morning sun was rapidly burning off the remainder of any of the fog. 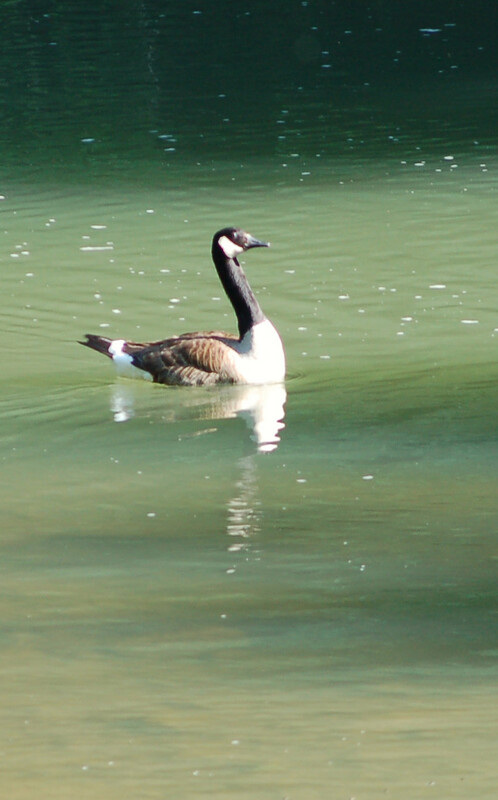 I heard a few “honks”of Canada geese just ahead of me. the dense vegetation was not allowing the birds to see me until I was almost to them. The moment I became visible the two adults and their three half-grown goslings became nervous and the eased down stream away from my presence. 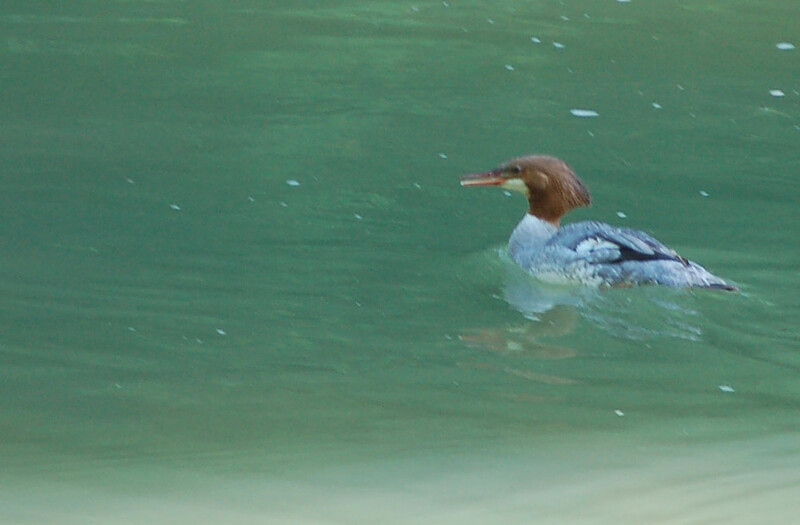 Strangely, a fourth bird with them was a female common merganser. She went air-borne! I would see her several times as the morning progressed. 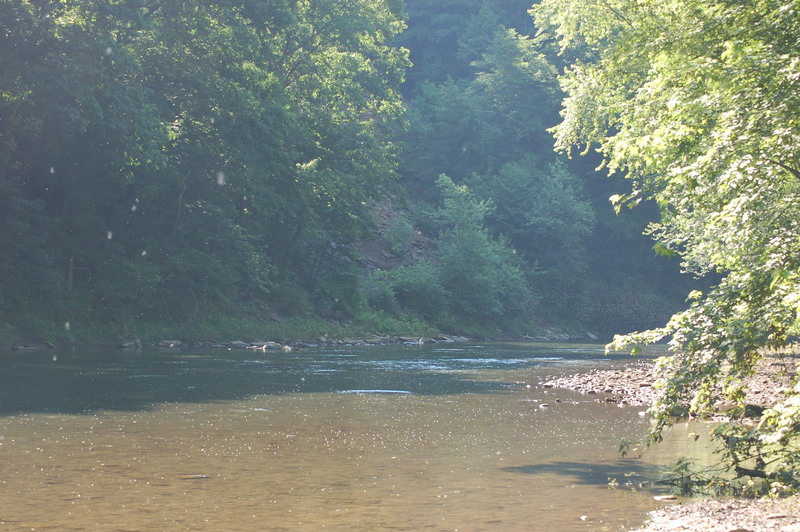 The fishing began slow, but improved as the sun heated the hollow. As the sun rose I could see bass, bluegills and later one sizable carp. One largemouth bass appeared to be around 14 inches in length. The fish refused to bite, but smaller ones liked the worms. Throughout the morning I caught bluegills and smallmouth bass and one horny-headed chub. 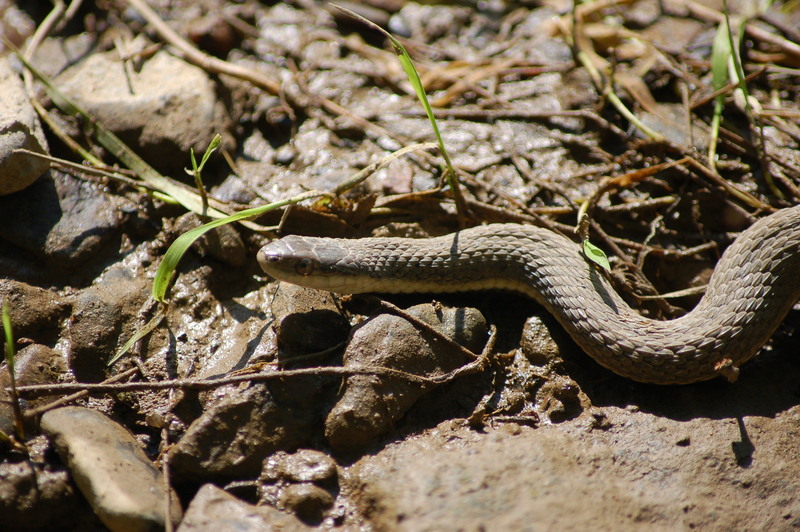 The northern water snakes were out too. 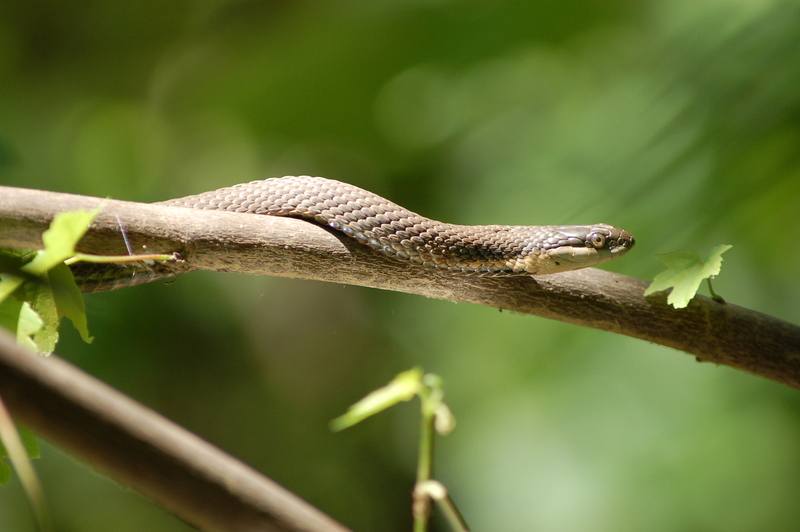 I saw, at least , seven or eight snakes. One overhanging tree yielded several falling from the branches into the water. I spotted two on a limb at one time. I couldn’t resist the urge and I caught one snake and tossed the reptile into the water. Before I knew it much time had elapsed and I decided I better head off home for Suzie, my diabetic Springer Spaniel, would be holding her legs together tightly trying to fend off her need to go outside for a nature call. 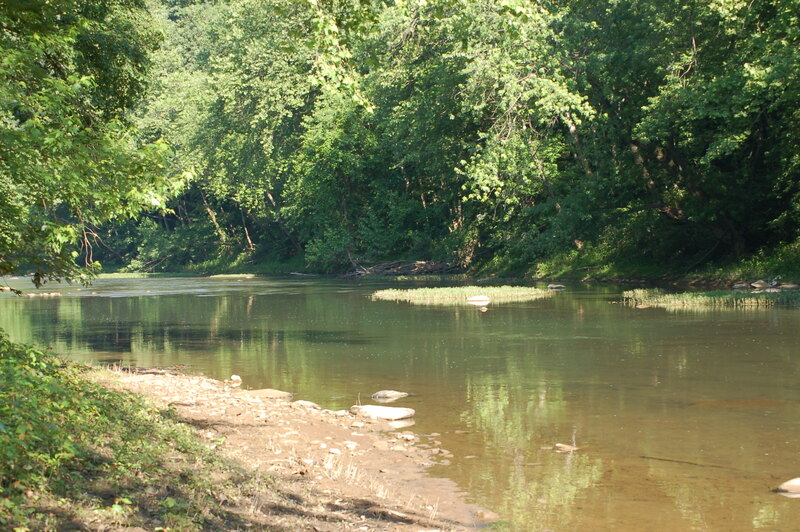 Crooked Creek is a beautiful waterway.The history of our area would have seen many Lenni-lenape hunters and warriors, along with early setters using those waters for their traveling needs.